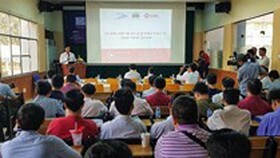 The Vietnam ICT Press Club recently announced the top 10 ICT events in 2017. This is the result voted for by more than 50 journalists in the information technology sector, from some 40 media agencies nationwide. 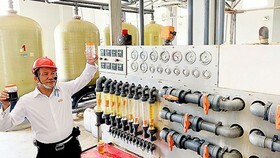 On April 18, military-run telecoms group Viettel officially launched a 4G network. Within six months, Viettel built nearly 36,000 4G base transceiver stations covering 704 districts nationwide, equivalent to nearly 99 per cent of the number of districts in Vietnam. 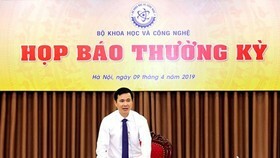 Instead of choosing to launch the 4G network widely like Viettel, the Vietnam Posts and Telecommunications Group (VNPT) chose to launch a 4G service in select neighborhoods. 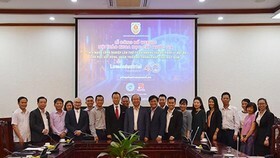 Previously, VNPT announced the first 4G service in Vietnam in Kien Giang province’s Phu Quoc island district on November 2016 to serve the people and tourists, contributing to the development of tourism in the province. The National Assembly Standing Committee agreed to remove Article 292 under amendments and supplements to the 2015 Penal Code relating to the illegal provision of services on computer and telecommunication networks. One of the items that caused alarm in business and startup communities was the abolition of Article 292. 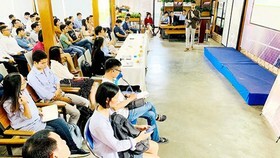 The communities sent a petition requesting the removal of the article as they feared the law could have a major impact on the startup community, prompting them to choose other nations to start their businesses, resulting in a brain drain. The abolition of Article 292 shows that the National Assembly and the government have resolutely dealt with the urgent problem of the people, while expressing the spirit of governance in creating and building a professional and favorable legal environment for the development of the country. 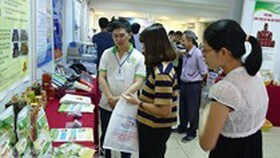 November marked the 20th anniversary of the Internet’s presence in Vietnam. 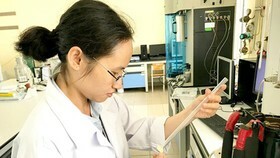 In the early 90s, Vietnam was one of the countries to deploy a 2G network very early, and it continued to expand to 3G and 4G networks with nationwide modern telecommunications and Internet infrastructure covering urban, rural, mountainous and island areas. Statistics showed that Vietnam now has more than 50 million Internet users, accounting for 54 percent of the population, higher than the world average of 46.64 percent. The country is also listed among the top countries and territories that have the highest number of Internet users in Asia. After 14 revisions, the draft Law on Cyber Security of Vietnam compiled by the Ministry of Public Security was evaluated for further improvements and details. According to the roadmap, the draft will be submitted to the National Assembly for comment at the fourth session meeting and will be passed at the fifth session of the National Assembly. However, some contents of the draft are said to overlap with the Law on Information Safety, which was issued previously, causing difficulties for businesses, especially international businesses. 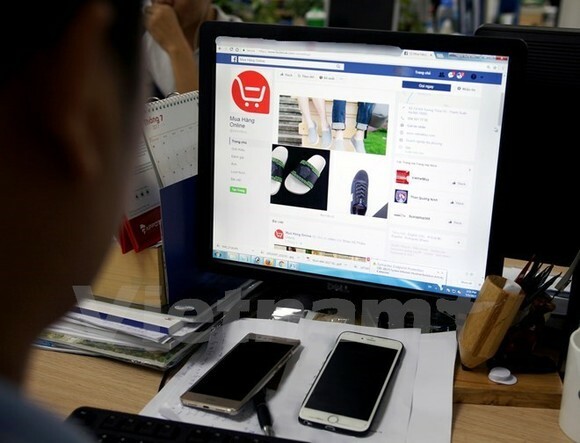 In 2017, the Ministry of Information and Communications worked with Google and Facebook to discuss the prevention and removal of malicious information and information violating Vietnamese law. Google pledged to remove entire channels if those channels posted infringing clips.This is a positive result in the negotiations with Google. Previously, Google and Facebook only removed the infringing clips after receiving requests, but now, if the Vietnamese branch detects, filters and sends requests, Google will remove the entire offending channel. Google has removed 4,500 of 5,000 video clips on YouTube, as required by the Ministry of Information and Communications. Facebook has removed 107 fake accounts, 394 advertisement links to illegal products and 159 slanderous or anti-government accounts. The cryptocurrency bitcoin has stirred up the Asian market this year, including Vietnam, after eight years of existence. Where the bitcoin price was less than US$1,000 at the beginning of the year, it skyrocketed in mid-December to more than $19,700, before spiralling downward again. Despite recommendations from the State Bank of Vietnam to not accept bitcoin in transactions, many Vietnamese individuals and investors still plunge into the game to follow the crowd mentality. From February 11 to August 31, the change in area codes for 59 provinces and cities nationwide was completed. The move aimed to ensure that telecommunication number storage was used economically and effectively, in line with the development of the technology market. At the same time, the conversion of the area code will help keep the region code consistent, in line with international practices. The Ministry of Information and Communications adopted the plan to facilitate the transfer of a mobile network code for 11-digit mobile subscribers. On August 8, Bkav Technology Group introduced the Bphone 2017. 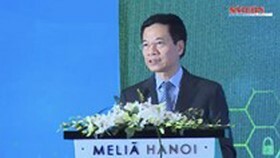 The group was determined to conquer the Vietnamese smartphone market after receiving both praise and criticism. The move demonstrates the group’s passion and determination in conquering the country’s smartphone market, which is still in the hands of foreign technology giants. Five telecom operators---Viettel, VinaPhone, MobiFone, Gtel and Vietnamobile---in March signed a commitment to canceling contracts with agents who violate subscription registrations. In May, the five operators signed a joint commitment to strengthen anti-spam messages. By the end of December, four major telecom providers executed smart spam message filtering systems. According to information from the Ministry of Information and Communications, 24.3 million pre-activated SIMs were recalled in the past year. On November 6, Jack Ma, Alibaba Group’s executive chairman, had a talk session on e-commerce and e-payment development on mobile devices at the 2017 Vietnam E-Payment Forum in Hanoi. Jack Ma’s arrival in Vietnam is expected to inspire young Vietnamese and startups. 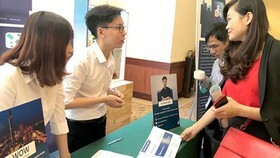 This event will also affect the future of e-commerce in Vietnam, promoting non-cash payments on mobile devices.